The AFP DC Mentoring Program offers Chapter members with the opportunity for a one-on-one relationship that enhances the knowledge and skills of new and experienced fundraisers alike. Mentors offer guidance, support and a listening ear to new fundraisers starting out in their career, while mentees provide experienced professionals with an opportunity to reflect and develop new relationships. Successful relationships are challenging and mutually beneficial, with both parties developing an enhanced self-awareness, satisfaction, and new skills. The AFP Mentoring Program is designed to take place over a period of one year, with the details of the interaction determined by the mentor and mentee. Mentees are matched with seasoned professionals based on areas of interest and expertise. A mentorship typically involves monthly contacts with opportunities for in-person meetings at AFP DC chapter events throughout the year. While there is no charge for this membership benefit, at the conclusion of the mentorship, both parties are asked to complete and submit an evaluation of the Mentoring Program. What are the Mentor/Mentee Application Requirements? Participation as a mentee in this program is available to members of the AFP DC chapter who have worked as a full-time paid development professional at a nonprofit organization for a minimum of one year. 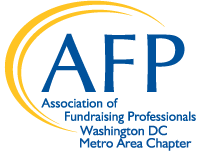 Participation as a mentor is available to members of the AFP DC chapter with demonstrated expertise in one or more areas of fundraising. CFRE certification is preferred. A person serving as a mentor may apply the time towards the service learning/volunteering portion of the CFRE application/recertification.